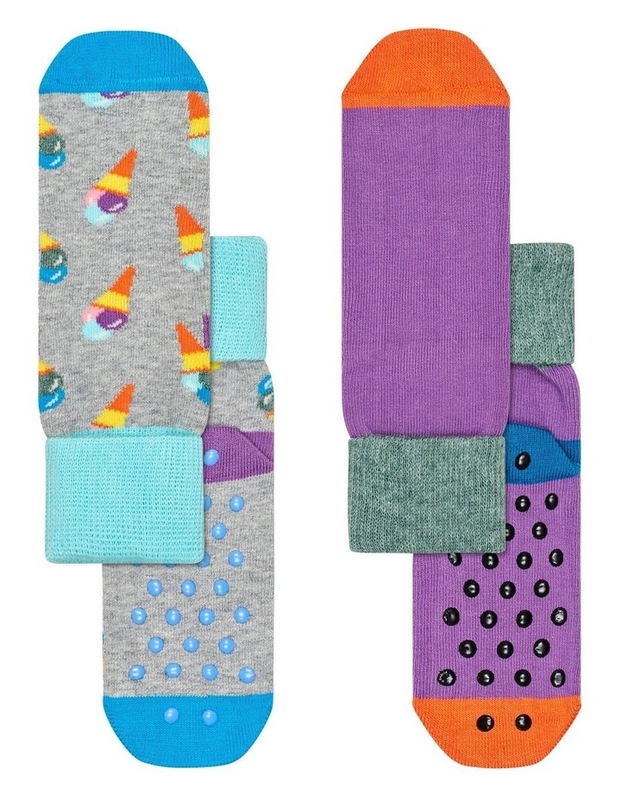 The cute and colourful Ice Cream kids Anti-Slip socks make being safe look fun and simple! The 2-pack features rubber soled styles in colourful patterns. With the cool grey Ice Cream style and the solid royal purple pair, you can be sure your child has an outstanding time all day.